Since turtles are said to be lucky, our frog seems to be in good company! So realistically sculpted that they are likely to be mistaken for their living, breathing namesakes, This work of decorative garden art is cast in quality designer resin and painstakingly hand-painted. 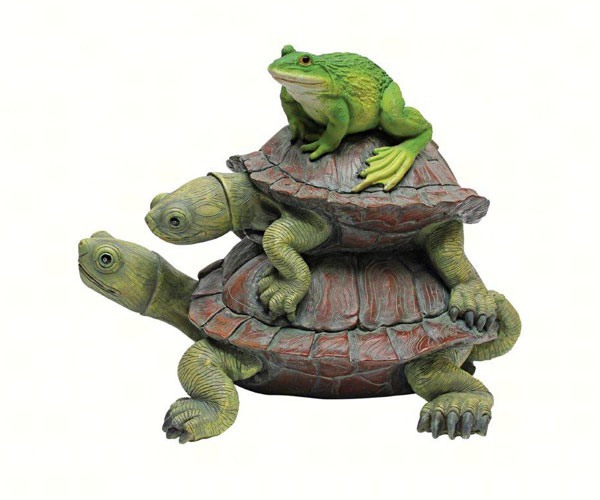 Not just along for the ride, our frog and turtle statue is perfect for your pond but will find a proud place in your home or garden gallery.